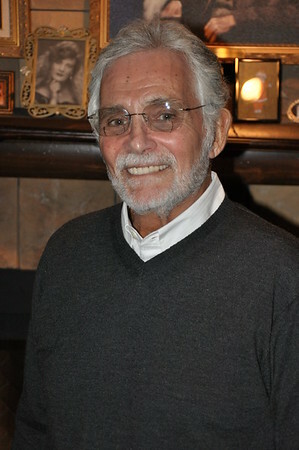 We had the pleasure of having a visit from David Hedison who stopped by for a special screening of the 1958 classic "The Fly"! David also helped assist Chicagolandhalloween.com kick off the Haunts Against Hunger food drive. All proceeds collected from the evening’s event went to benefit the Loaves & Fishes Food Pantry ...in Naperville. We also had special guests, Darkside Studios and Master Mask Maker Paul Daniels; The Reaper from Reapermadness.com, The Las Ryds hearse club had some of their "Ryds" in the front lot and Master Ron Fitzgerald who was our Master of Ceremonies.